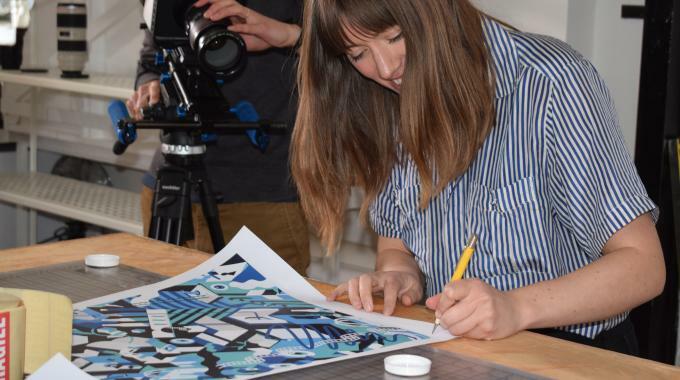 Packaging designer Silas Amos and graphic artist Emily Forgot have joined forces with HP to produce 2,000 Heineken bottles for interpack 2017, using seed patterns and HP SmartStream Mosaic variable design technology to create a unique shrink sleeve for each. 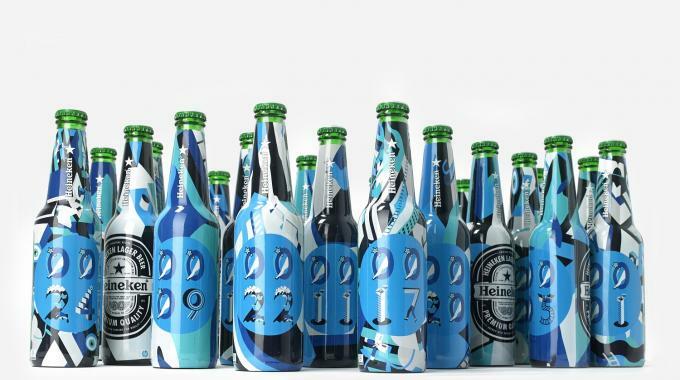 Forgot’s specially commissioned artwork for the Heineken bottles features 10 numerals as well as icons and seed patterns, with a design aesthetic inspired by the Yellow Submarine animated film. These have been used by Amos to create the final sleeves. Printed on an HP Indigo WS6800 by Dutch label converter Eshuis, each bottle is also individually numbered with a font specially designed for this project, using HP Variable Data Printing. 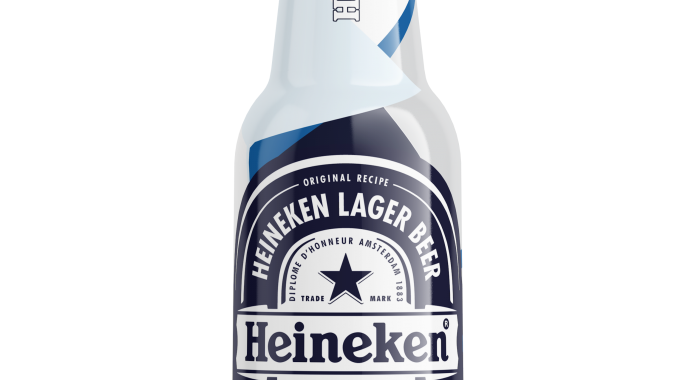 As a result, each bottle is unique in two ways, as Amos explained: ‘We wanted to create artistic packaging for the Heineken bottles that is striking as well as different in each instance. The concept takes full advantage of the capability to make each bottle unique, all the while held together by a simple design system. The bottles will be served during HP’s Happy Hour at interpack, taking place daily from 18:00 on the HP booth in hall 13. Also, incorporated in this HP interpack branding campaign are digitally printed signage, corrugated tables, waiter t-shirts and flexible packaging for snacks, to create an overall look and feel of what can be achieved with HP technology. 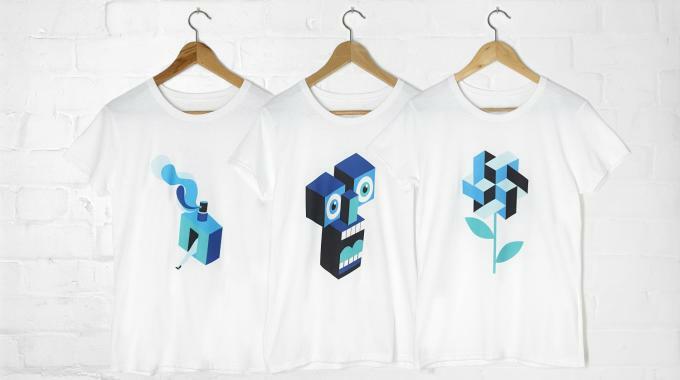 Visitors to the HP booth will also see Forgot’s ‘Print Transformed’ designs, incorporating surreal visions of packaging and print coming to life, applied to everything from nail art to giant vinyl wall decals, all printed on HP. HP SmartStream Mosaic and HP Variable Data Printing feature as part of the HP SmartStream Designer software for HP digital presses, and make it possible to personalize any print job’s images, text and colors. 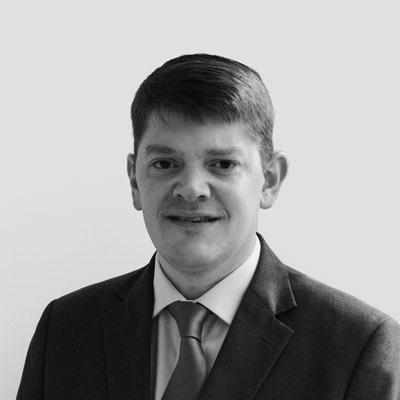 Launched at interpack, the HP Agency and Designer Tool Kit also offers open source training materials, while the Brand Managers Digital Packaging ROI Calculator is a tool to calculate the ROI of any type of HP digitally printing packaging, compared to current conventionally printed packaging costs.